Such a beautiful sheet! Great quality. 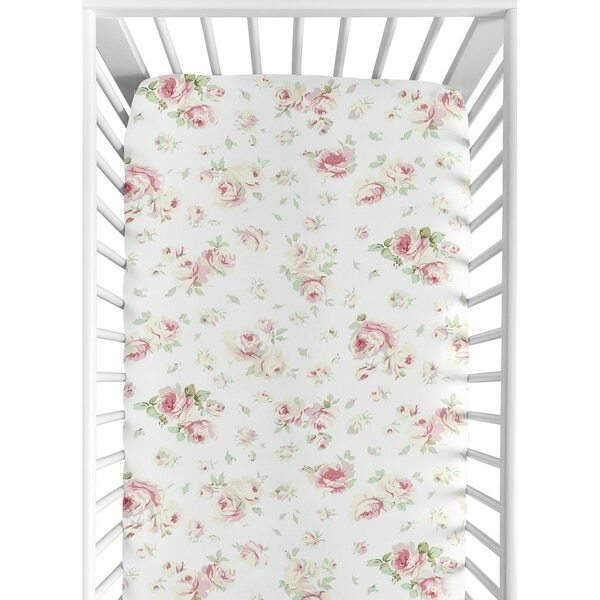 Riley's Roses Fitted Crib Sheet will help complete the look of your Sweet Jojo Designs nursery. This sage and pink floral print cotton sheet fits all standard crib and toddler mattresses and is machine washable for easy care. Dimensions: 52 in. x 28 in. x 8 in. Dimensions 52.0 In. X 28.0 In. X 8.0 In. I purchased these to complement my crib bedding as my crib bedding didn't sell matching sheets separately. I'm very happy with the print and quality of the sheet. A bit thin, otherwise okay sheet.